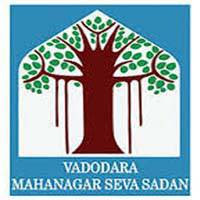 Vadodara Smart City Development Limited (VSCDL) Published Official Recruitment Advertisement for GIS Specialist, SAP Manager and SCADA Specialist Posts. View More Details About This Recruitment Including Posts Name, Qualification, Age Limit, Salary, Interview Date, Interview Address etc., are Given Below. GIS Specialist : Full Time M.Sc. (Geography) / MBA (GIS) or Related Master Degree with 60% Phd. Will be Preferred on Priority. SAP Manager : Full Time MCA / MBA / Engineering Graduate (First Class) from Reputed Institute. SCADA Specialist : Full Time Engineering Graduate (First Class) from Reputed Institute. SAP Manager : Minimum 3 Years of Experience in SAP ERP, ECC 6.0 and at least one end-to-end SAP Implementation and Project Management Preferred. SCADA Specialist : Minimum 3 years of Software and Integration Related Experience in Configuration of Managing of SCADA System of Siemens / Schneider SCADA System. How to Apply : Eligible and Interested Candidates can Apply on smartcity@vmc.gov.in for Above All Posts Along with Experience and Qualification Details in Prescribed form on or before 21st, February 2018.